The director’s introduction from the 1993 VHS release. Tests and build-up elements for the Patrick Troughton title sequence. Behind~the~scenes at the BBC Visual Effects department to interview Jack Kine. Cast and crew look back on the making of the story. Sir Christopher Frayling and Dr Debbie Challis examine the ancient Egyptian origins to the story. A history of the Cybermen. A look at the technology behind the VidFIRE process. 1960’s Doctor Who themed promo for Walls Sky Ray ice lolly. A brand-new look at the making of this anniversary story. • Was Doctor Who Rubbish? Raising a defence against criticism of the classic series. The 1970s Katy Manning, Caroline John (Liz Shaw) and Louise Jameson (Leela) on being a 1970s Doctor Who girl. Archival interview with the second Doctor Patrick Troughton and visual effects wizard Bernard Wilkie. Jon Pertwee introduces the Whomobile. The full trailer for the 1981 repeat season which included The Three Doctors. • Commentary 1 – Original release commentary. 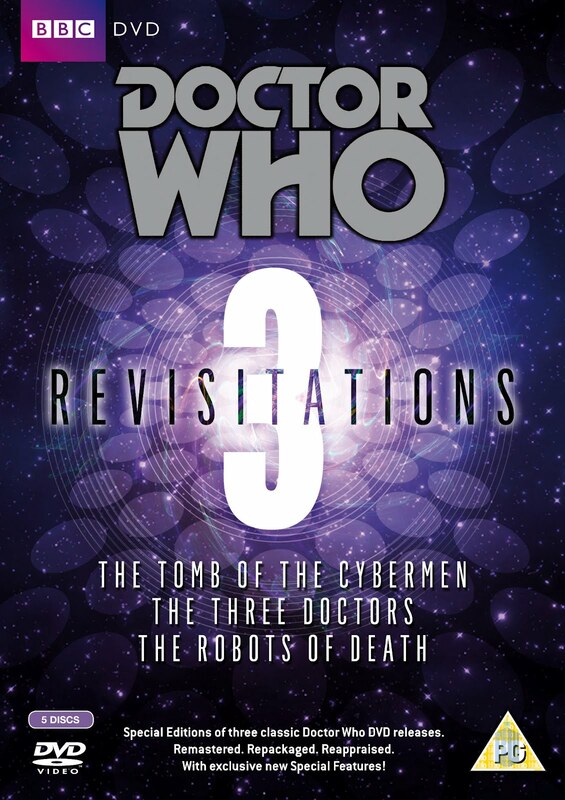 • Commentary 2 – New commentary with actors Tom Baker (the Doctor), Louise Jameson (Leela) and Pamela Salem (Toos), and director Michael E Briant. Cast and crew look back at the making of the story. Toby Hadoke takes a humorous look at the history of robots. Example of a studio scene before the robot voice effects were added. • Model Shots Black and white time-coded recording of the original model insert film. Interactive view of the studio layout via the original floor plan drawings. Off-air continuity for the first episode’s original transmission plus mute continuity slide.